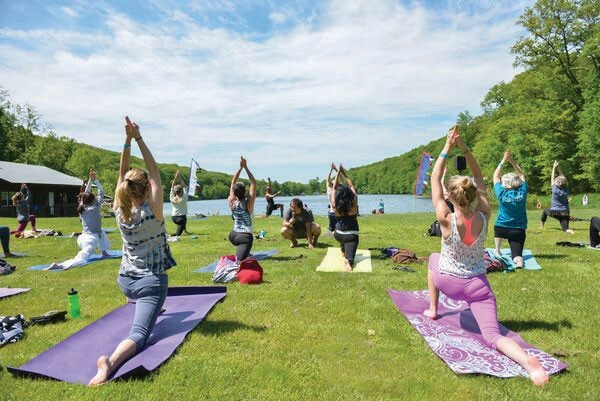 This two-day, three-night festival centered around Music, Art, and Yoga (MAY) takes place at Surprise Lake Camp in Cold Spring. The festival offers over 40 classes, ranging from paddle board yoga to sound meditation to Pilates. Trevor Hall, Turkuaz, Primate Fiasco, and many other reggae, bluegrass, jazz, and funk artists will perform. There will also be art by yoga practitioner and photographer Robert Sturman and other artists. The Garrison Art Center will be sponsoring drawing, painting, collage, and printmaking classes. On-site cabins are available, as well as free camping. This festival takes place on Friday, May 27 through Sunday, May 29. Tickets range from $40-$230.